Tonight is the final home game of the regular season for the Rochester Knighthawks, and also military appreciation night. The teams have split the first two meetings. January 10 New England destroyed the Hawks 17-7, but the Hawks got revenge on April 4 with a 15-10 win. This is the only visit the Black Wolves will make to Rochester this season, and their will be some fans from Philadelphia making the five hour drive to see the team that was once the Philadelphia Wings. For some it can be considered closure, for others it’s a chance for them to voice their displeasure of the situation by wearing the opponent’s colors and booing their former team. Knighthawks are led by Cody Jamieson (29 G/48 A). But this team is even deeper. Dan Dawson, Jordan Hall, Craig Point all with 21 G, and Cory Vitarelli with 23. Ever since the 16-3 loss to Edmonton the defense has been on lockdown, only allowing 34 goals in the last five games (6.80 GA). Matt Vinc has been stellar in goal. This season Vinc has compiled a 10-5 record with a 9.51 GA, and a .807 save percentage and has once again had his name added to the talk of goaltender of the year. For New England, Pat Saunders leads the team with 30 G/27 A, with support from Kyle Buchanan (21G/31A). After starting the season 2-0, the Black Wolves have gone 2-10. Goaltender Evan Kirk has a 4-9 record with a 12.96 GA and a .732 save percentage. Black Wolves are hoping recently acquired Garrett Billings will help them in this much needed win, but without Andrew Suitor this will be a tough task to accopmplish. 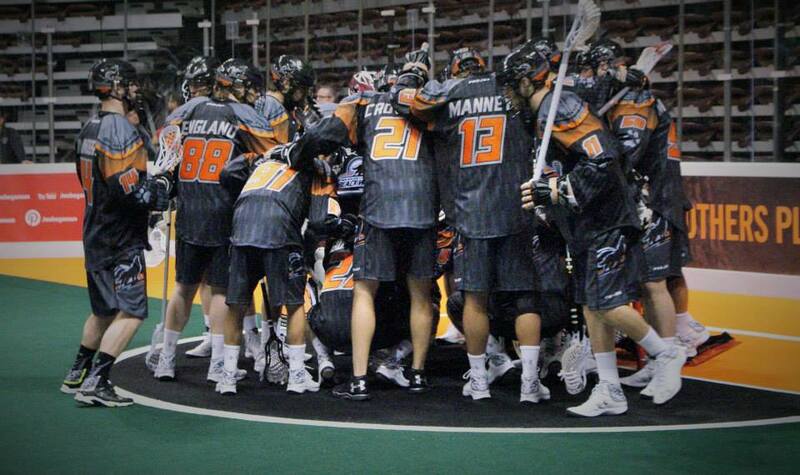 Should the Black Wolves pull off the upset, they will still need Buffalo to lose tonight to prolong their chances. Next season this Black Wolves team could be a team to turn some heads. With a healthy Quinn Powless, a full season of Garrett Billings and Andrew Suitor this team could cause some problems. But miracles don’t happen overnight, and they must not have a huge roster turnover as in years past when the franchise was in Philadelphia. New England returns home to host Buffalo tomorrow at 6 pm.